Introduce items in the school bag with flashcards which contain labels and check the vocabulary with picture flashcards. 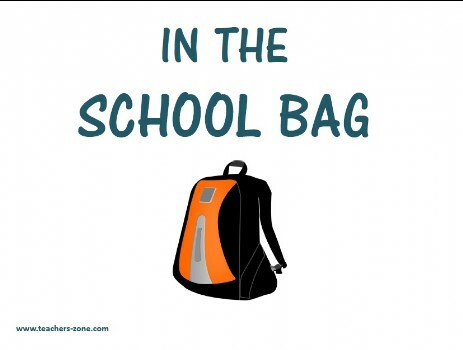 Vocabulary: school bag, notebook, pencil case, books, crayons, paints, paintbrush, calculator, ruler. To check the vocabulary use flashcards without labels.